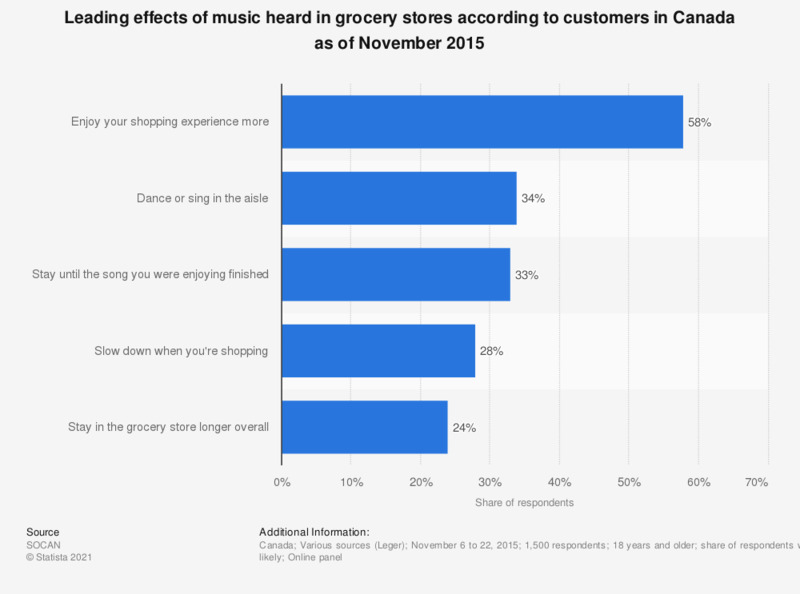 The graph presents information on the leading effects of music heard in grocery stores according to customers in Canada as of November 2015. The survey results show, that 34 percent of responding Canadians stated they were very likely to dance or sing in the aisle if they heard music they enjoyed. Question: "When hearing music you enjoy in a grocery store, how likely are you to do each of the following?" How often do you listen to music you have purchased?